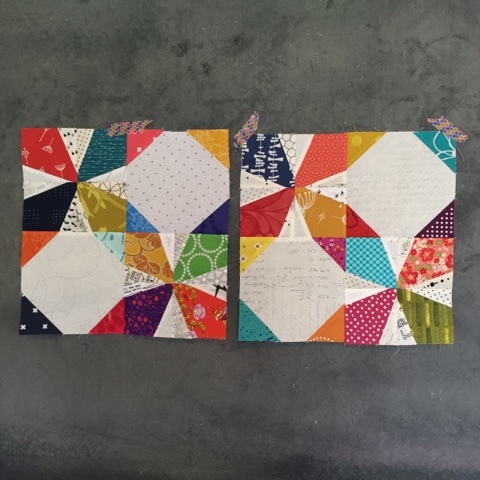 This month's Stash Sewciety bee block is the Wanta Fanta block by my fellow LA Modern Quilt Guild member, Janice Ryan. Janice designed this block for The Bee Hive a while ago. 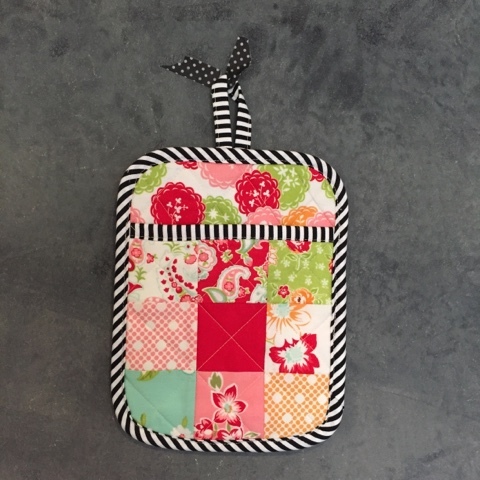 It's a great bee block and one that works with a scrappy choice of fabrics. My bee mate, Jennifer, asked for low volume prints with no color, just black, grey or white prints and bright jewel tone colors. I've also decided to make a pot holder to go to each of me bee mates in the month they are queen. This one is a fun and easy pot holder. Your hand slips into the pocket to aid in grabbing that hot pot. I used this tutorial that I found on Pinterest. This was my second time making it. It's super easy. I changed the measurements just a bit to accommodate using mini charm squares. I sent my Stitch Tease Bee mate her pot holder without taking a photo of it. Oops! So that takes care of bee blocks for me for February. I like staying caught up. It helps me think I am organized. You only have to look at the rest of my life to know that I am not. I am going to try and get two quilts quilted and bound this weekend. Ha! Who am I kidding. Maybe one...wish me luck? I've made the Wanta Fanta a couple of times for bees and though I like the look of the block (and resulting quilt) can't say it's my favorite to make for some reason. Very sweet you send potholders - nice!! Aren't you a sweetie to send an extra in with the bee blocks! 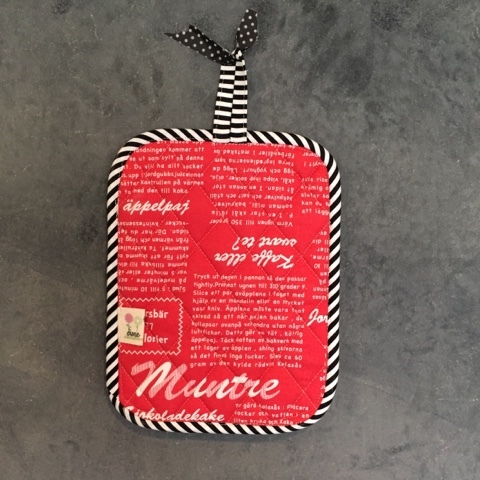 Love the potholder and a perfect use for those mini charms!